I believe that Athens is the perfect city destination to explore as a family at all times of the year. Athens will charm you with its ancient old monuments, squares and gardens, picturesque neighbourhoods and many easy to visit fun and educational activities. Athens centre is safe and has an excellent public transport network. There are many good family hotels and food options. This and the fact that Greeks love children make my adopted home town the absolute dream for parents. Athens offers everything you would hope for when exploring with children and a little planning will go a long way to get the most out of your visit to this vibrant city. Here are the absolute must-visit places in Athens with kids. 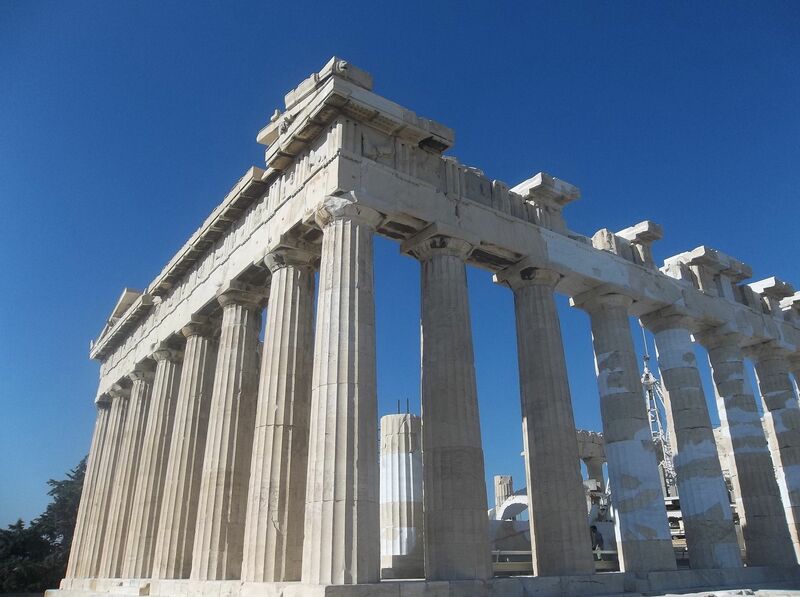 On top of the list and a definite must see when visiting Athens with children is the Acropolis. Travel back to ancient Athens and show your kids the birthplace of democracy. If you enter the Acropolis archaeological site from the main entrance on Dionysou Areopagitou street, you will see not only the world-famous Parthenon but also the Theatre of Dionysus and the Odeon of Herodes. The Acropolis is suitable for children starting from 3-4 years old; it is not allowed to use strollers inside the Acropolis. Have a look at my suggested walking tour up to the Acropolis for more information in One day in Athens with kids. 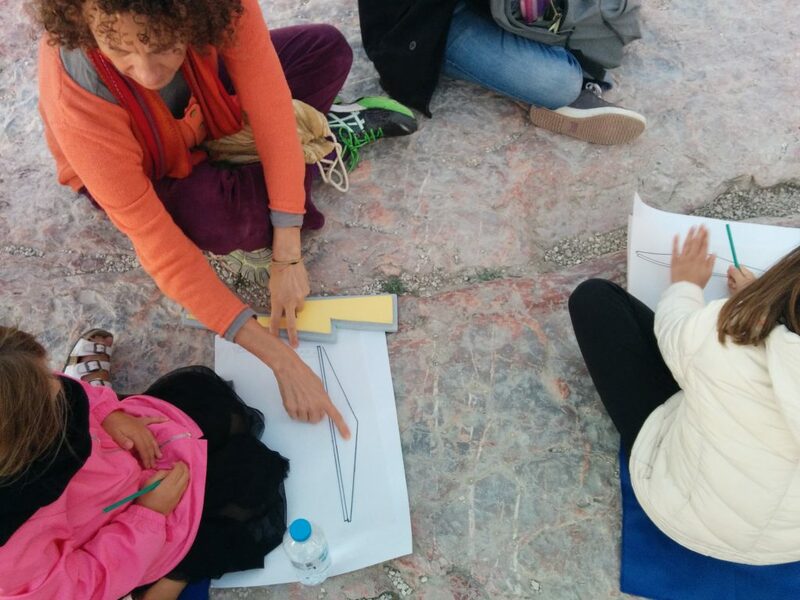 The New Acropolis museum offers family backpacks with an educational program for families, it organizes family tours, there is a children’s lab, there are children guides and a number special family events throughout the year. In summer we love visiting the so-called ‘museum night’. Other attractions for kids are the Lego Acropolis model on the top floor, the movies and the book corner. In the first-floor museum shop, kids can find games, books, toys and other educational materials in many languages. The museum offers free strollers and a parents room (first floor) for changing and feeding your baby. At the second floor restaurant, there is a children’s menu. Check out the gorgeous view from the restaurant balcony (safe for young children because surrounded by a wall). 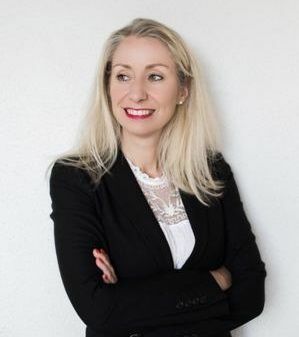 Finally, children from the EU under 18 years of age with a current identification card are entitled to free admission. Another important monument in Athens that will much appeal to kids. 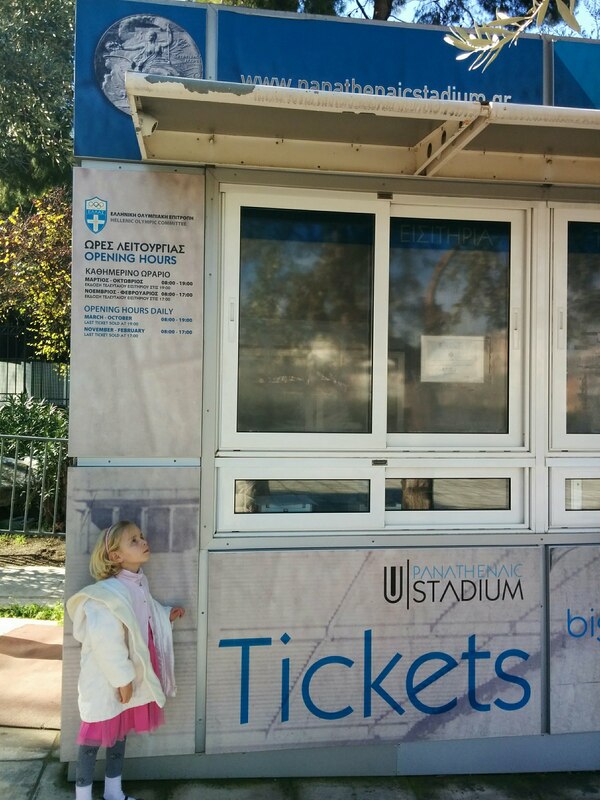 Teach your children everything about the Olympic Games by visiting the Panathenaic Stadium. This classical and cultural monument of Athens is one of the most significant places not only for Athens but for all Greece. Its history is directly connected to the Modern Olympic Games and the first Modern Olympic Games were also held here. In the Athens 2004 Olympic Games, archery contests were held here and the stadium is also the finishing line of the yearly Athens Marathon race. The stadium is open March until October from 08:00 – 19:00 and November – February 08:00 – 17:00. It can get very hot during the day here and there is no shade so an early visit is recommended. The stadium and the square in front of it are great for getting energy out. My kids love running on the tracks and feeling like an athlete. All kids love trains! Are your kids tired of walking around town? Have a ride on the Athens Happy Train. This little red toy-like street Athens Happy Train makes a 40 – minute tour in the historical centre of Athens and your family will see the most famous ancient sites and monuments. 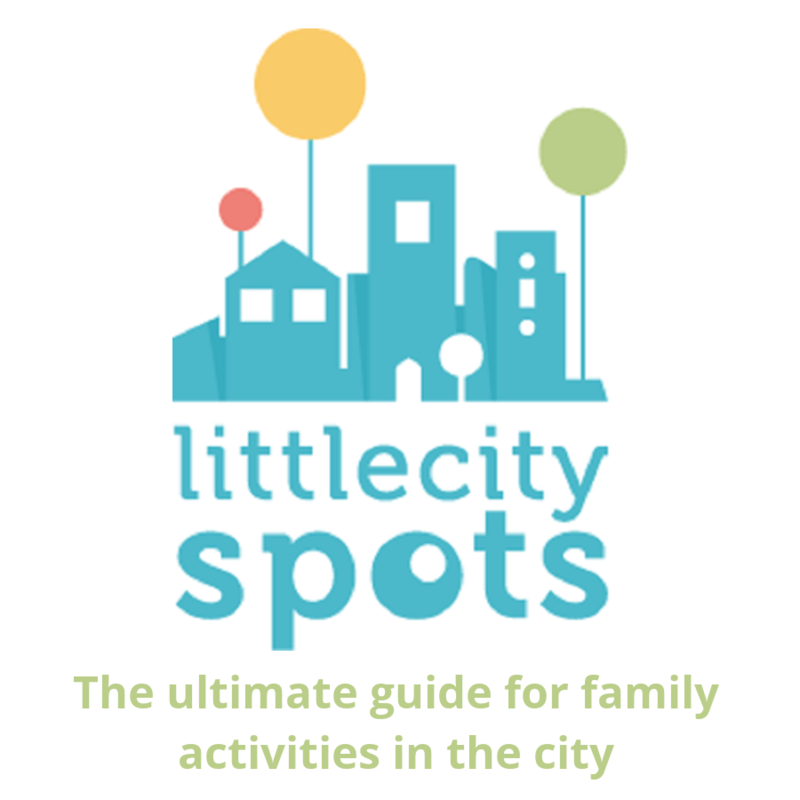 You can hop-on-hop-off from different points in the city and see Athens with kids in your own tempo. In my blogpost Athens Happy Train, you can find our story. 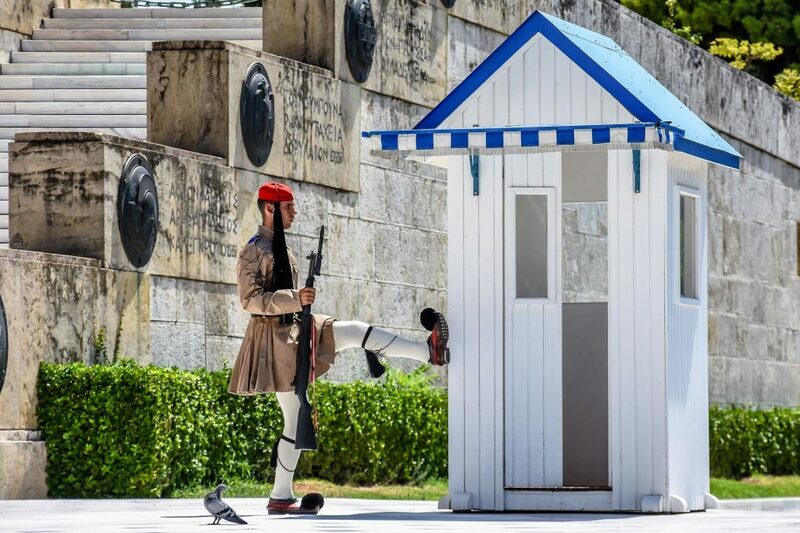 All children will love feeding the pigeons and watch the impressive changing of the guards at the central Syntagma square of Athens. These ‘Evzones’ are members of the Presidential Guards wearing traditional Greek outfits. They stay completely still next to the tomb of the Unknown Soldier outside the Parliament building (former Royal Palace) until the moment that they can move for the change of the guards. For more information, please read my blog post Athens with kids where to see national guards evzones Athens. The National Gardens, or ‘Royal Garden’, is a public park of 15.5 hectares in the center of Athens. It is located directly behind the Greek Parliament building and Syntagma Square in between the famous monuments of the Zappeion and the Panathenaiko Stadium. My kids love it because of its huge and impressive palm trees at the entrance of the park, for its animals and its paths. Inside the National Garden, you will find, a little farm with animals and birds and a pond with turtles. There are two large playgrounds, one with a sandbox and lots of shade. But also botanical gardens, a labyrinth of rare plants and trees and plenty of open grass areas for a picnic. The National Garden also features a botanical museum, a small cafe, and a children’s library. 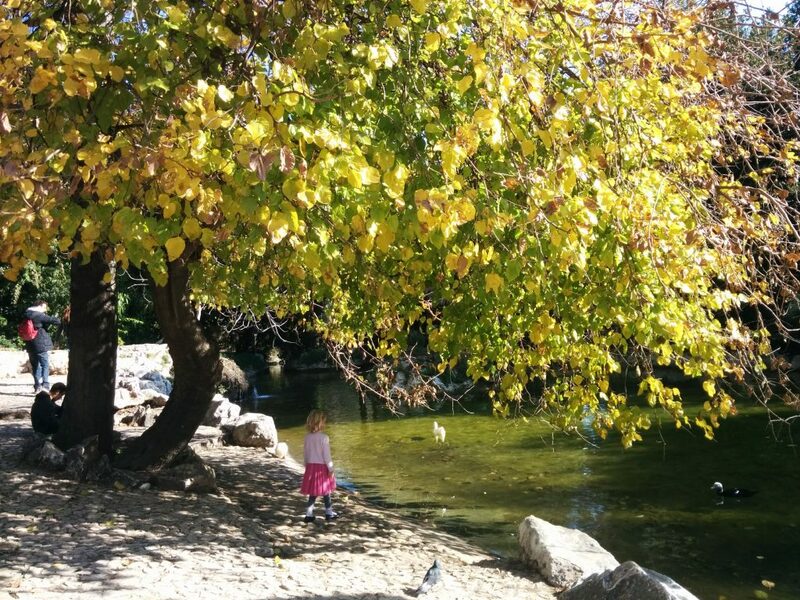 More parks in Athens with kids can be found in my list of 10 best parks in athens for spring break picnics. A unique experience in Athens with kids is to take the cable car that goes up Mount Lycabettus. The cable car starting point is in Kolonaki neighborhood and goes up inside the rock. My kids find this always very exciting and adventurous. On the top of the Mount Lycabettus are telescopes guaranteeing views as far the island of Aegina. Visit the little church and finally buy ice cream at the cafe on top and enjoy a breathtaking panorama over the city. 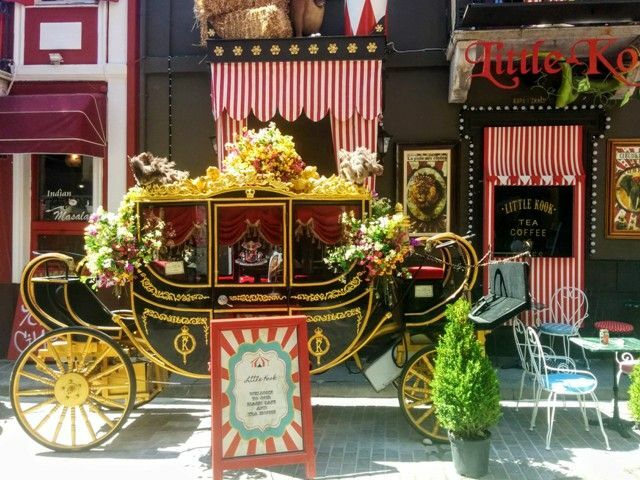 No other place in Athens appeals more to kids and adults just as much than this fairy tale themed cafe in the Psiri neighbourhood. Little KooK takes you to fantasyland. The cafe is generously styled, especially around Halloween and Christmas. Enjoy delicious sweets and crepes in a fairytale setting and don’t forget to make a stroll around the beautifully decorated streets in hip Psiri. This cafe is so special, I dedicated a blog post to it called Little Kook themed cafe in Athens. Do your kids love mythology as much as mine? Then a Family Mythology Tour around the ancient monuments of Athens is a great way to explore the city and its history. Under the guidance of a dedicated guide, your kids can play a role in the ancient Theatre of Dionysus, enjoy a picnic in between the olive trees, search for goddess Athena or draw an ancient monument at the Acropolis. We have tried several family tours based on Mythology and history. My experience can be found in Tours in Athens for Kids and Alternative Athens tours for kids. These tours are most suitable for children from 5 years old. Another idea for a tour with kids is a Family Food Tour. If you don’t want to follow a guide, you can also opt for a Family Self Guided Audio Tour with your smartphone. That way, you will still see and learn about the monuments in Athens but at your own pace. 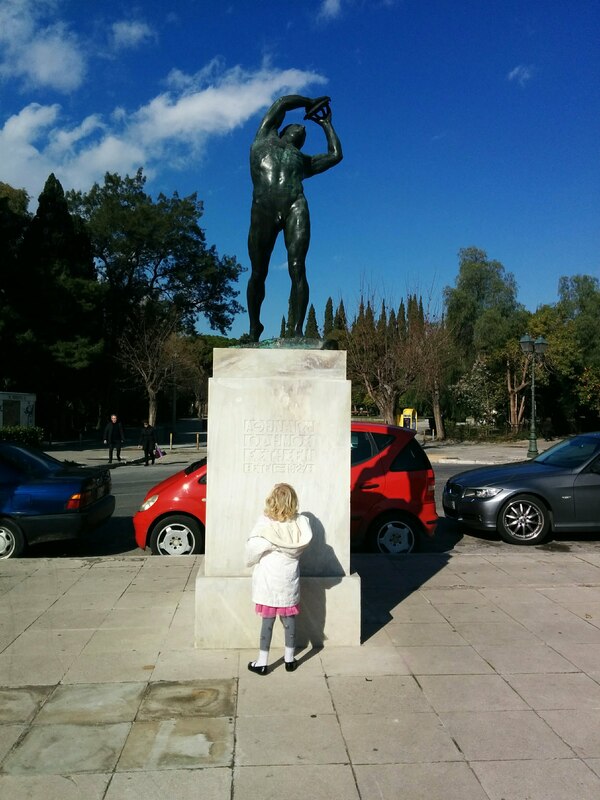 Here you can find the best family and kids audio tour in Athens. 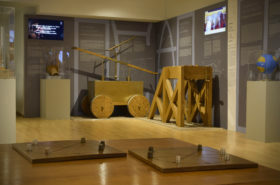 The Hellenic Children’s Museum offers a selection of programs and strategies developed to encourage children to learn and evolve through team building activities. The programs motivate creative thinking, interaction as well as involvement in the society and appreciation of all human differences. The programs are available for children up to 12 years old and their adult companions. The entrance is free. I hope my list of the best 10 things to do in Athens with kids have inspired you to start planning and make the best out of your family trip!